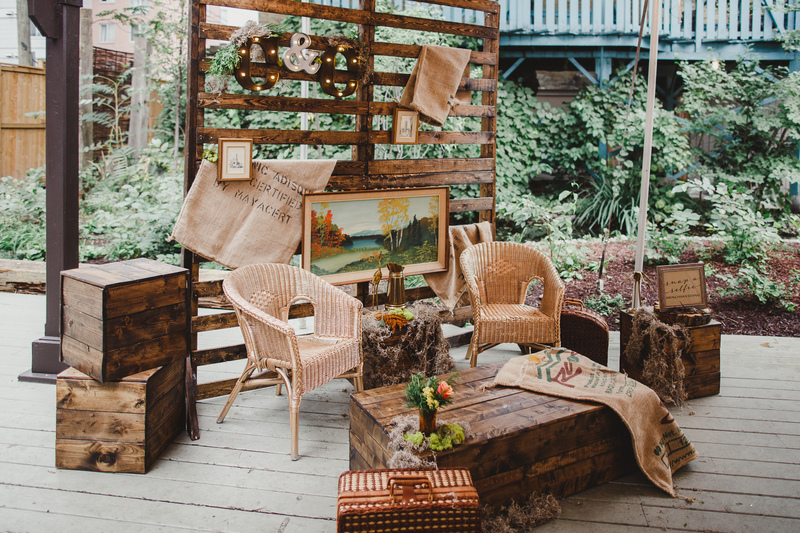 Today’s article is going to be all about wedding furniture rentals, and different kinds of event rentals that you can use to add to your wedding reception space. One thing I want to say about this is obviously anything you’re renting cost money. It’s the sort of thing where if you’ve got some extra room in your decor budget rentals are a fantastic way to go. First I want to talk about structural rentals. I know in past videos I’ve talked about if you want to make your wedding reception room seem smaller, let’s say maybe it fits 300 people and you only have 75 than you have some way to make it smaller. Whether you want to rent some green hedges that can be really nice if you want more of an organic look. Or another option would be to play with some with drappings. A draping company would come in and they would pipe a structure and then drape it really pretty. It’s almost like really beautiful curtains all around your wedding room. Another idea you can go with would be to just go along one or two walls. Those are really neat ways to either add texture or maybe conceal something in your space. You can sue dividers to shrink your space down or even to just keep guests from going to a certain parts. Some really fun wedding rentals that I always love are lounges. These rentals are probably going to run you anywhere from maybe eight hundred to three thousand dollars depending on the company you go with. The cost will vary depending where you’re located and how far the company has to drive. 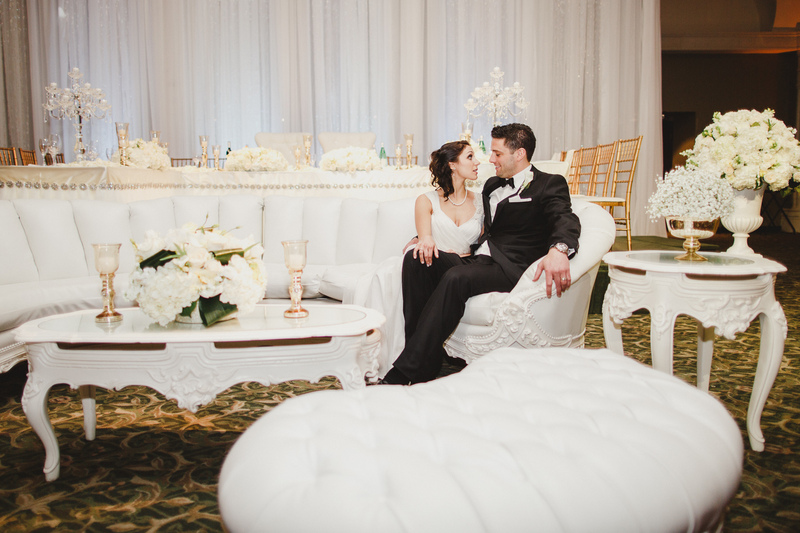 Typically lounge setups at weddings tend to be at least one sofa, a coffee table and two arm chairs. Sometimes they’ll have another little ottoman on the other side of the sofa so you’re really creating a little bit of a living room in your reception space. It is really fun for wedding guests to sit and hang out with other guest, when they don’t have fell like sitting at their tables anymore. You can also use your rental lounge set during cocktail hour in which case people can just hang out on the sofas. I think they’re really beautiful and you can have a lot of fun with these. You can choose different colors to match your palette and they are a really fantastic way to add interest to your reception space. Don’t forget to ask about pillows or other accents that can spice up your wedding décor. 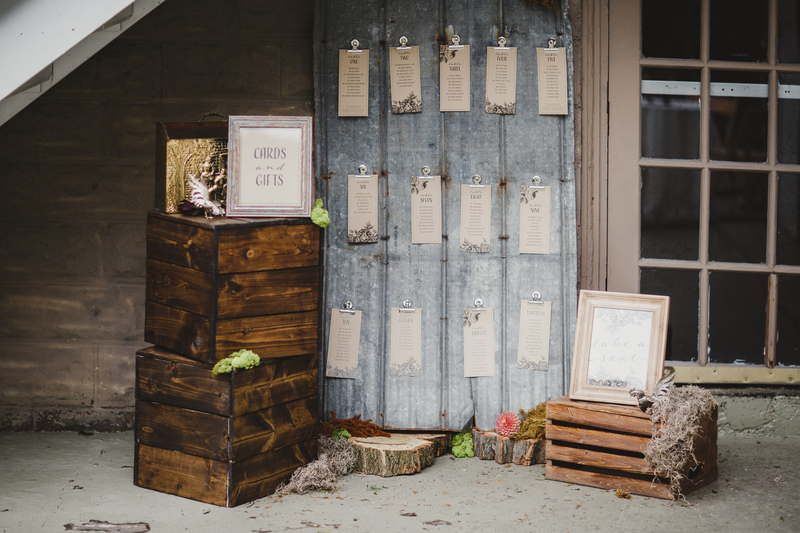 One of my all-time favorite types of rentals is usually something a little bit more custom and that is a guest sitting card display, which is also referred to as kind of a seating chart display. That is something that can be very much customized to your event space. There are numerous options such vintage mirrors, old bar doors, rustic windows or chalkboards. You could also have a rented special dessert backdrop, so if you are really into desserts and you want to really deck out that dessert table have a beautiful backdrop for it. It is really going to pop against your desserts and against your venue. Rental companies also supply cupcake table and cake stands. Now the last rental that I want to be talking about in detail is going to be specialty chairs. Most of the times your wedding venue will supply regular chairs. Typically they’re going to be quite basic. They might be white folding chairs or maybe they’re chiavari chairs. I personally prefer a different kind of chair, which is a cross back chair. There are numerous options where you can have ghost chairs, or beautiful colored velvet chairs. Those are some of my favorites and you can always rent them out if you wedding venue have limited options. Beautiful wedding chairs can make a statement and it’s definitely something that’s going to make your wedding stand out from other weddings. When you planning an outdoor wedding and reception you will have to start with renting a tent. There are some accessories that you might need such as pole covers and portable heaters if your outdoor wedding is planned for off-season. Next you might have to look into renting table and chairs. 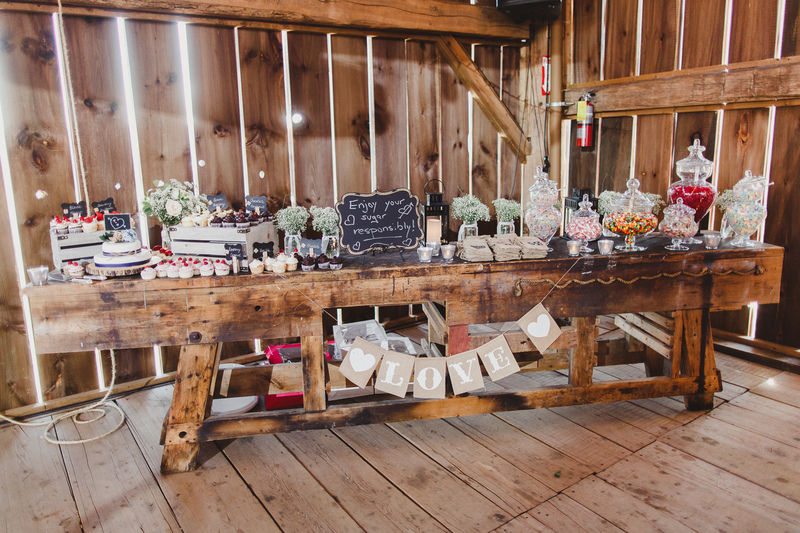 Unless you are going for a rustic wedding look you will need table lines and possibly chair covers. You will have to supply dinnerware and glassware for your bar. We also recommend renting a nice dance floor and some light fixtures. As you can see planning an outdoor wedding basically consist of renting most of the stuff for your wedding. If you wedding location isn’t equipped with restrooms you will have to rent portable restrooms as well. As you can see there is so many things you can rent for your wedding or event. Here in Toronto we can recommend that you check out Kijiji as a starting point for your wedding rental needs. Another company that we can recommend is called Vintage Bash. 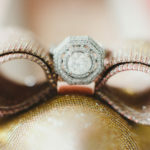 They seem to have countless supply of cool and unique accessories that can me rented for different types of events. 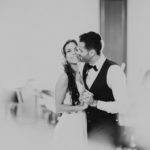 I hope this article and video helped you a little bit with you wedding planing and discovering different rental options.